New Patients - Pediatric Dentist in Shoreline, WA. Congratulations on making your child’s year one visit! This easy prevention focused appointment is the first step in establishing a lifetime of healthy smiles. Completing your new patient paperwork prior to your appointment is highly recommended. The appointment usually lasts between 30 – 40 minutes and the majority of the time is spent educating the caregivers while little ones are free to sit with their families or play with a variety of toys and books. During your appointment, team members will review normal oral development, healthy eating habits, effective brushing techniques, how cavities form and how to prevent them. For most babies and toddlers, we use a lap exam position for the checkup. This position allows for your child to stay close to you while allowing the doctor easy access to look in the mouth. After the examination, the doctor will discuss your child’s oral development and any recommendations to stay cavity free. 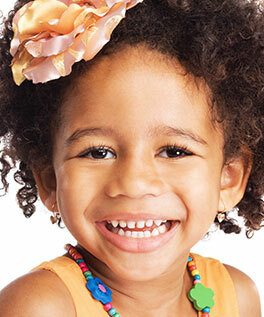 We understand that younger children may feel anxious about visiting the dentist. Our kid friendly staff is passionate about making your child feel secure in our office. We want to make your child’s visit a good experience and we can use your help! Here are some simple Do’s and Don’ts we recommend that can help set things on the right path before your visit. Do Read Books or Watch a Show About the Dentist: Read books about going to the dentist (ex. Dora: Show Me Your Smile) or watch a favorite show where the characters go to the dentist (ex. Peppa Pig Goes to the Dentist) to prepare for the visit. Do Play Dentist: Have your child practice going to the dentist at home. Practice laying down, looking into the mouth, and counting teeth on a favorite toy, a parent, or your child. This makes going to the dentist more familiar. Don’t Create Worry or Anxiety: Please do not tell your child they “need to be brave” or “it will not hurt.” Many children do not have negative preconceived notions associated with the dentist, and starting from a place of negativity may create unnecessary anxiety for them. Do Visit Our Website: You can show your children pictures of nice people they will meet, the toys, TVs, iPads, and books our office is filled with, and our fun prize wall that they will get a special toy from. This helps your kiddos get excited for their visit and lets them know this office is a special place just for them. We want to establish cooperation and trust between your child and our team. This relationship helps us to establish a closer rapport with your child while building his/her confidence in our office. Parents are welcome to accompany their children during their appointment; however, in certain instances we may ask you to play the role of a silent observer. Pediatric Dentist - Dr. Diane Tung in Shoreline, WA. serving infants, children, and teens in the surrounding cities of Edmonds, Seattle and Lynnwood, WA.